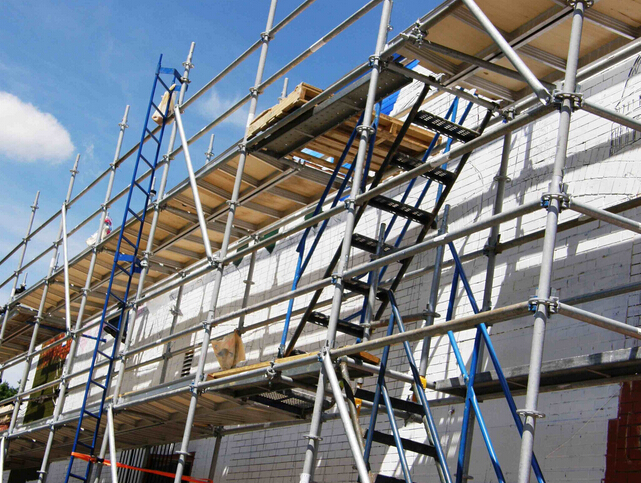 Scaffold is used in construction scaffolding, one of the most widely used of the scaffold. Because the frame show "frame" word, so called the frame or gate type scaffold, also known as frame scaffolding. The scaffold is mainly composed of main frame, horizontal box, cross brace, scaffolding, adjustable base, etc. Frame scaffolding first developed by the United States, it has the tear open outfit simple, bearing performance good, safe and reliable use, etc, are developing fast. Frame scaffold although on the service life of 5 to 8 years, had begun to make the frame early s scaffold, frame scaffolding is used in construction scaffolding, one of the most widely used of the scaffold. First developed in the United States, the frame scaffold has the tear open outfit simple, good bearing capacity, the use of safe and reliable, and so on characteristics, development is very fast. Frame scaffold has grown, the problem has been slowly changing. Use frame scaffold had subsequently heighten, frame so scaffold so will increase in loss, we must to do at ordinary times how to maintain good frame scaffold. Frame scaffolding usually hashing is inevitable in the process of construction, sometimes in rainy weather, it must pay attention to prevent rust, so we did not use at ordinary times will be on the frame scaffolding to brush a layer of paint, can prevent frame scaffold rust, this is one of the maintenance frame scaffold method, and the frame without the use of scaffold, at ordinary times should be regularly check whether in good condition, can be found at any time, and replace parts.